Margaret Clauder Presents reading shows, science shows, multicultural, Hispanic history, educational programs for schools, libraries, preschools, events, birthday party, kid show, kid entertainer, children, kindergarten, day care and corporate events in Dallas and Ft. Worth! Kids Laugh as they Learn! You wonder what the audience of preschool children are thinking that keeps them whisper silent in their seats. Are they all picturing THE Bookworm reading the same book? One child turns to another and says with a smiling shiver, "She's reading a scary book." Another says, "It's a funny book." A girl in the front, wearing a pink dress with glued on sparkling gems, says, "It's a love story - with a princess." Without saying a word, Margaret Clauder as THE Bookworm, has her audience captivated. THE Bookworm closes her book and says, "And they lived happily ever after." THE Bookworm looks up from her book and notices the audience for the very first time. "Oh, I didn't see you come in," she exclaims as the children laugh and giggle. Once again Margaret has the full attention of her audience with hardly a word; and the show has begun! Do you want children laughing as they learn? Do you want children on the edge of their seats, keen for what comes next? Do you want kids so engaged with the program that they talk about it for weeks? Then you want a Margaret Clauder school, library, or preschool program. "Our kids loved the program. I've never seen our K - 5th graders sit sooooo quietly for such a long period of time. They were totally enthralled." Margaret knows kids. 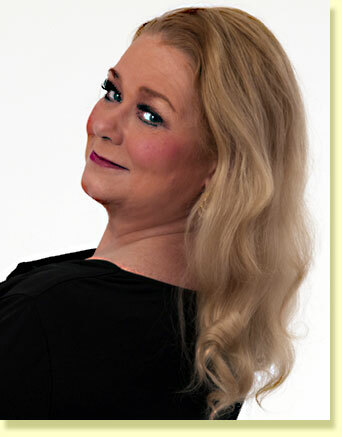 She has performed for thousands of children in hundreds of schools and libraries including Dallas/Ft. Worth, and all over Texas, delighting audiences with her interactive storytelling, her puppets, ventriloquism, her magic and humor. She knows that getting children to remember a message is much easier if you can entertain them as they are learning. Selections from the Bookworm, Mother Goose, and Señorita Margarita shows! A former pre-school teacher herself and current professional clown, Margaret ties humor into all her educational messages. She has worked for Young Audiences of North Texas as both Mother Goose and THE Bookworm since 2000. Young Audiences is an Arts in Education Agency that sends performing artists into schools mostly in the Dallas area. Her shows "Mother Goose Reading and Rhyming" and "Let's Read with THE Bookworm" are both accredited school shows meeting TEKS standards for K – 5th grade. She has a wonderful array of educationally significant, engaging children's shows to choose from that have all been tested and refined in front of live audiences. The age range these shows cover varies from pre-school up to 5th grade. Margaret invites you to take a few minutes at the section most relevant to your needs. You'll find characters with educational messages that work with kids! Margaret is a verified Vendor for the Dallas Independent School District. "Your show was flawless, and the kids loved your puppets!"